In the past decade, digital games have become a widely accepted form of media entertainment, moving from the traditional 'core gamer' community into the mainstream media market. Thorsten Quandt is a Professor of Communication Studies at the University of Münster. 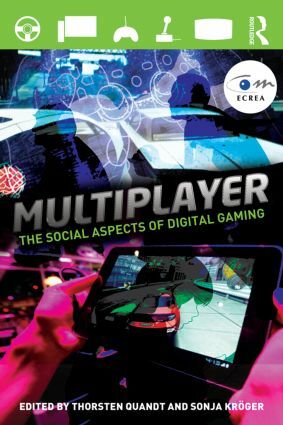 He is the founding chair of ECREA’s Temporary Working Group ‘Digital Games Research’. His research and teaching fields include online communication, media innovation research, digital games and online journalism. Sonja Kröger (M.A. in Education, Media Studies and German literature) works as a junior lecturer at the Institute of Communication Studies at the University of Hohenheim. Her research and teaching fields include media education, young children & media, and digital games with a focus on advertising. Published in association with the European Communication Research and Education Association (ECREA), books in the series make a major contribution to the theory, research, practice and/or policy literature. They are European in scope and represent a diversity of perspectives.